PANIGRAHY, P. S. , CHATTOPADHYAY, P.
Data driven approach for multi-class fault diagnosis of induction motor using MCSA at steady state condition is a complex pattern classification problem. This investigation has exploited the built-in ensemble process of non-iterative classifiers to resolve the most challenging issues in this area, including bearing and stator fault detection. Non-iterative techniques exhibit with an average 15% of increased fault classification accuracy against their iterative counterparts. Particularly RF has shown outstanding performance even at less number of training samples and noisy feature space because of its distributive feature model. The robustness of the results, backed by the experimental verification shows that the non-iterative individual classifiers like RF is the optimum choice in the area of automatic fault diagnosis of induction motor. S. Nandi, H. A. Toliyat, X. Li, "Condition monitoring and fault diagnosis of electrical motors-a review," IEEE trans. energy convers, vol. 20, pp. 719-729, 2005. P. Konar, P. Chattopadhyay, "Bearing fault detection of induction motor using wavelet and Support Vector Machines (SVMs)," Appl. Soft Computing, vol. 11, pp. 4203-4211, 2011. S. Sridhar, K. Uma Rao, S. Jade, "Detection of broken rotor bar fault in induction motor at various load conditions using wavelet transforms," IEEE Int. Conf. Recent Developments in Control, Automation and Power Engineering, 2015, pp. 7782. J. Seshadrinath, B. Singh, B. K. Panigrahi, "Investigation of vibration signatures for multiple fault diagnosis in variable frequency drives using complex wavelets," IEEE Trans. Power Electronics, vol. 29, pp. 936-945, 2014. P. A. Delgado-Arredondo, A. Garcia-Perez, D. Morinigo-Sotelo, "Comparative Study of Time-Frequency Decomposition Techniques for Fault Detection in Induction Motors Using Vibration Analysis during Startup Transient," Shock and Vibration, vol. 2015, pp. 14, 2015. E. Cabal-Yepez, M. Valtierra-Rodriguez, R. J. Romero-Troncoso, A. Garcia-Perez, R.A. Osornio-Rios, H. Miranda-Vidales, R. Alvarez-Salas, "FPGA-based entropy neural processor for online detection of multiple combined faults on induction motors," Mech. Sys. and Sig. Process, vol. 30, pp. 123-130, 2012. P. Konar, J. Sil, P. Chattopadhyay, "Knowledge extraction using data mining for multi-class fault diagnosis of induction motor," Neurocomputing, vol. 166, pp. 14-25, 2015. P. Konar, P. Chattopadhyay, "Multi-class fault diagnosis of induction motor using Hilbert and Wavelet Transform," Appl. Soft Computing, vol. 30, pp. 341-352, 2015. J. Seshadrinath, B. Singh, B. K. Panigrahi, "Vibration analysis based interturn fault diagnosis in induction machines," IEEE Trans. Ind. Inf, vol. 10, pp. 340-350, 2014. R. J. Romero-Troncoso, R. Saucedo-Gallaga, E. Cabal-Yepez, A. Garcia-Perez, R. H. Osornio-Rios, R. Alvarez-Salas, H. Miranda-Vidales, N. Huber, "FPGA-based online detection of multiple combined faults in induction motors through information entropy and fuzzy inference," IEEE Trans. Ind. Elect, vol. 58, pp. 5263-5270, 2011. J. Seshadrinath, B. Singh, B. K. Panigrahi, "Incipient interturn fault diagnosis in induction machines using an analytic wavelet-based optimized bayesian inference," IEEE trans. neural networks and learning sys, vol. 25, pp. 990-1001, 2014. J. Seshadrinath, B. Singh, B. K. Panigrahi, "Single-turn fault detection in induction machine using complex-wavelet-based method," IEEE Trans. Ind. Appl, vol. 48, pp. 1846-1854, 2012. H. Garcia-Perez, R. d. J. Romero-Troncoso, E. Cabal-Yepez , R. A. Osornio-Rios, "The Application of High-Resolution Spectral Analysis for Identifying Multiple Combined Faults in Induction Motors IEEE Trans. Ind. Electronics, vol. 58, pp. 2002-2010, 2011. H. Ordaz-Moreno, R. d. J. Romero-Troncoso, J. 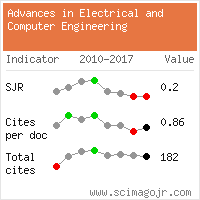 A. Vite-Frias, J. R. Rivera-Gillen, A. Garcia-Perez, "Automatic Online Diagnosis Algorithm for Broken-Bar Detection on Induction Motors Based on Discrete Wavelet Transform for FPGA Implementation," IEEE Trans. Ind. Elec, vol. 55, pp. 2193-2202, 2008. E. Cabal-Yepez, A. G. Garcia-Ramirez, R. J. Romero-Troncoso, A. Garcia-Perez, Roque A. Osornio-Rios, "Reconfigurable monitoring system for time-frequency analysis on industrial equipment through STFT and DWT," IEEE Trans. Ind. Inf, vol. 9, pp. 760-771, Jan. 2013. H. Garcia-Perez, R. J. Romero-Troncoso, E. Cabal-Yepez, R. A. Osornio-Rios, J. d. J. Rangel-Magdaleno, H. Miranda, "Startup current analysis of incipient broken rotor bar in induction motors using high-resolution spectral analysis," IEEE Symp. Diagnostics for Electrical Machines, pp. 657-663, 2011. H. M. Knight, S. P. Bertani, "Mechanical fault detection in a medium-sized induction motor using stator current monitoring," IEEE Trans. Energy Conv, vol. 20, pp. 753-760, 2005. P. Zhang, Y. Du, T. G. Habetler, B. Lu, "A survey of condition monitoring and protection methods for medium-voltage induction motors," IEEE Trans. Ind. Appl, vol. 47, pp. 34-46, 2011. P. S. Panigrahy, P. Konar, P. Chattopadhyay, "Application of data mining in fault diagnosis of induction motor," IEEE Int. Conf. Control, Measurement and Instrumentation, 2016, pp. 274-278. P. Konar, P. S. Panigrahy, P. Chattopadhyay, "Tri-Axial Vibration Analysis Using Data Mining for Multi Class Fault Diagnosis in Induction Motor," Int. Conf. Mining Intelligence and Knowledge Exploration Springer International Publishing, 2015, pp. 553562. M. Kantardzic, Data mining: concepts, models, methods, and algorithms. Second Ed., John Wiley & Sons, 2011. 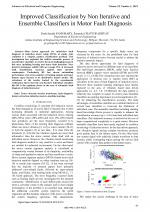 H. Jurek, Y. Bi, S. Wu, C. D. Nugent, "Clustering-based ensembles as an alternative to stacking," IEEE Trans. Knowledge and Data Eng, vol. 26, pp. 2120-2137, 2014. J. Xia, L. Bombrun, T. Adali, Y. Berthoumieu, C. Germain, "SpectralSpatial Classification of Hyperspectral Images Using ICA and Edge-Preserving Filter via an Ensemble Strategy," IEEE Trans. Geoscience and Remote Sensing, vol. 54, pp. 4971-4982, 2016. S. Dzeroski, B. Zenko. Is combining classifiers with stacking better than selecting the best one?. Machine learning, pp. 255-273, 2004. S. Arlot, A. Celisse. A survey of cross-validation procedures for model selection. Statistics surveys, pp. 40-79, 2010. Z. Deng, F. L. Chung, S. Wang, "Robust Relief-Feature Weighting, Margin Maximization, and Fuzzy Optimization," IEEE Trans. on Fuzzy Systems, vol. 18, pp. 726-744, 2010. A. Ambarwari, Y. Herdiyeni and T. Djatna, "Combination of Relief Feature Selection and Fuzzy K-Nearest Neighbor for Plant Species Identification," Int. Conf. on Advanced Computer Science and Information Systems, 2016, pp. 315320. Citations for references updated on 2019-04-16 22:28 in 188 seconds. Website conception, design and maintenance by Eugen COCA. Content updated on 28 Feb 2019. Site engine updated on 28 Feb 2019. This page was generated on the server in 0.060 seconds and loaded in your browser in > seconds.